During his consulting career, with over 25 years of experience as a franchise business consultant, Jeff Abbott has worked with clients in various industry sectors, including retail, automotive, foodservice, manufacturing, investing, marketing, publishing, package delivery, accounting and tax services, sales, and with a variety of business-to-consumer concepts, both in the U.S. and in international markets. He has authored hundreds of analyses featuring market segmentation, competitive benchmarking, and strategy development. He has assisted in the planning and implementation for multiple prototype projects in retail, business-to-consumer services, and the restaurant industry. He has also participated in the development and installation of an integrated information technology system linking point of sale, back office, headquarters, and supply chain components. Prior to joining the iFranchise Group, Mr. Abbott held a variety of positions at the local, district, and regional levels for McDonald’s and Taco Bell, and he was involved in the management of two start-up concepts (in one instance, rapidly growing the chain to 120 units). Immediately prior to joining the iFranchise Group, Mr. Abbott was a Consultant with Arthur Andersen, where he and two other consultants were responsible for the firm’s franchise practice. While at Arthur Andersen, he was also involved in numerous foodservice and restaurant consulting engagements. Some of the clients that Mr. Abbott has been involved with include Perkins, Muzak, Comfort Keepers, Motophoto, Service Corporation International, A&P Stores, Allied Domeq, Dunkin Brands, The Burger King Franchisee Association, Buffets Inc., Chart House, Claire’s Boutique, Corner Bakery, Dominos, GAP Stores, Mazzio’s Pizza, Foot Locker, and The Athlete’s Foot. He has extensive experience with clients in Asia and the Middle East, including The Government of Thailand, Al Baik, Al Tazah Fakieh, Leylaty, Kudu, and Zain. He has also done work in consulting with both foodservice and non-foodservice franchisors in South and Central America – most recently with Pollo Campero, Chocobru International, Frisby, and Tyco International. He recently completed a year long assignment as acting president of Nissan’s Saudi Arabian distribution operation. Mr. Abbott works with existing franchisors to improve franchise sales, franchise operations and implementing initiatives in the corporate environment, and with new franchisors to launch new franchise programs. He is a speaker and panelist at franchisor events and industry conventions. Mr. Abbott holds a B.S. in Business Administration from Cardinal Stritch University and an MBA from Loyola University of Chicago. 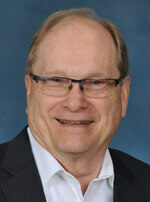 He has also received his Certified Franchise Executive (CFE) certification from the International Franchise Association.